Because spam filters sometimes filter legitimate email, it is highly recommended that you add surveys@coolopinions.net to your 'Approved or Safe Senders' list in your email program. To ensure that your important email messages from Panelpolls and survey alerts are not filtered into your Spam, Junk or Bulk Mail folder, follow the appropriate instructions below for adding us to your ‘Approved or Safe Senders’ list or white list. Although we cannot guarantee that this method will always allow messages sent from PanelPolls to bypass your filtering software, it does greatly increase the likelihood that you will receive our messages. Most filtering programs allow users to select certain email addresses or domains (coolopinions.net & panelpolls.com) to bypass the filtering software and always arrive in your email inbox. These email addresses or domains are generally added to a "friends," "contacts," “approved,” or "safe senders list." 1. Click Contacts in the right toolbar. 3. Enter surveys@coolopinions.net and additional information if you wish. 4. Click Add Contact button in the popup to finish. 4. Save surveys@coolopinions.net as a contact. 1. Open an email from surveys@coolopinions.net. 3. Click Add surveys@coolopinions.net to contacts list to finish. 1. Click surveys@coolopinions.net in the header of the message. 2. Click Add to finish. 1. Click the Address Book tab on the top menu bar. 4. Enter surveys@coolopinions.net and additional information if you wish. 5. Click Save to finish. 1. 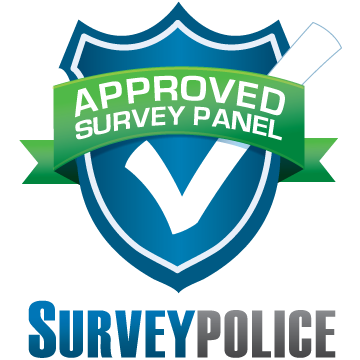 Open the email message from surveys@coolopinions.net. 2. Click Add to contacts next to surveys@coolopinions.net. 3. 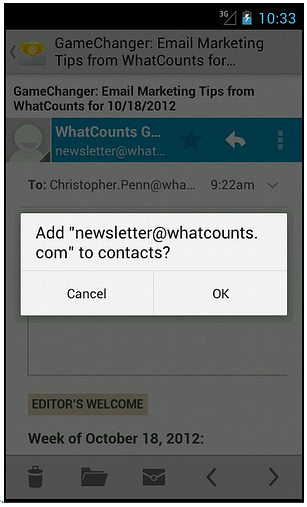 On the Add Contact popup, add additional information if needed. 4. Click Save to finish. 2. Click Add to contacts next to surveys@coolopinions.net to finish. 2. Right-click Click here to download images in the gray bar at the top of the message. 3. Click Add Sender to Senders Safe List to finish. 1. Right-click on the email you received (in the list of emails). 3. 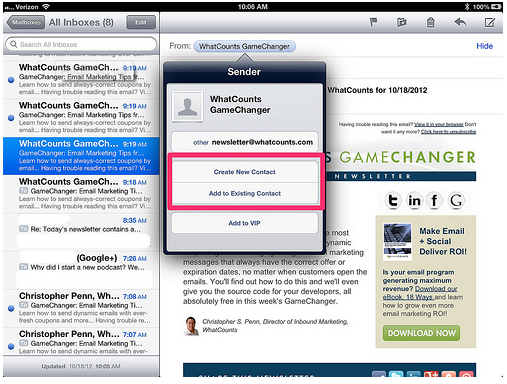 Click Add Sender to Safe Senders List to finish. 1. Click the Home tab. 3. Click Junk E-mail Options. 6. Enter surveys@coolopinions.net and additional information if you wish. 7. Click OK to finish. 2. Make sure Personal Address Book is highlighted. 3. Click New Card. This will launch a New Card window that has 3 tabs: Contact, Address & Other. 4. Under Contact, enter surveys@coolopinions.net and additional information if you wish.